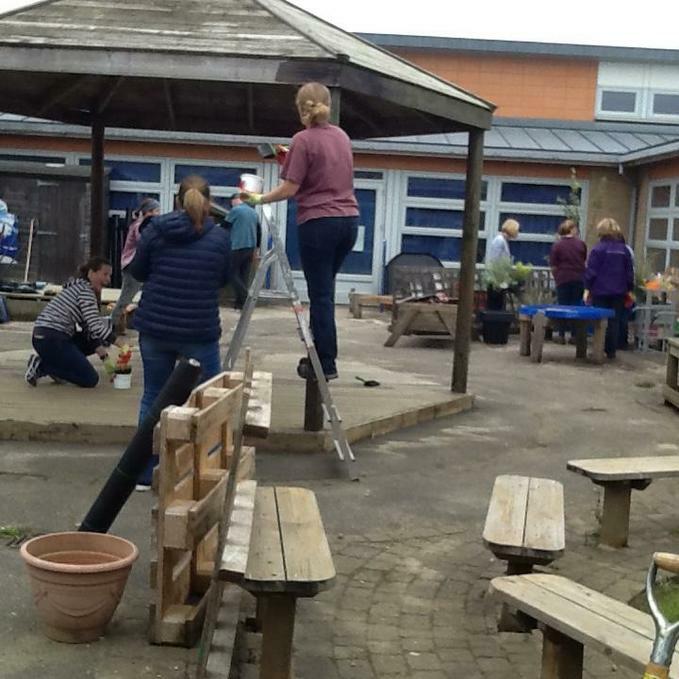 We had some volunteers from AstraZeneca come into the FS2 courtyard on Thursday 4th October and they have made such a difference. 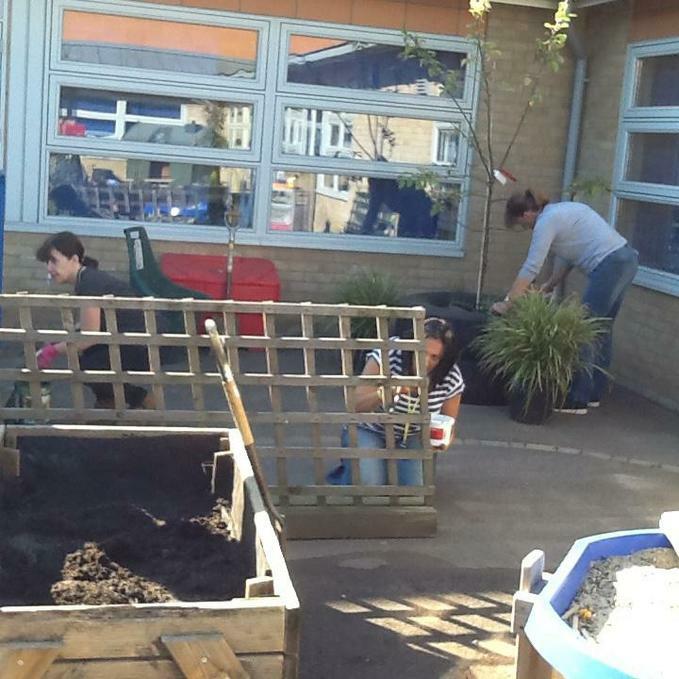 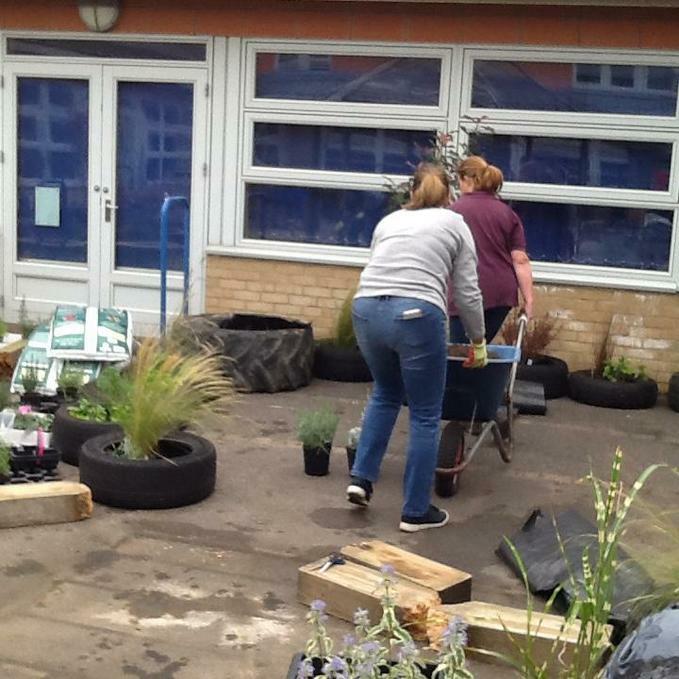 They spent their day working very hard to make it a really special place for the children to be. 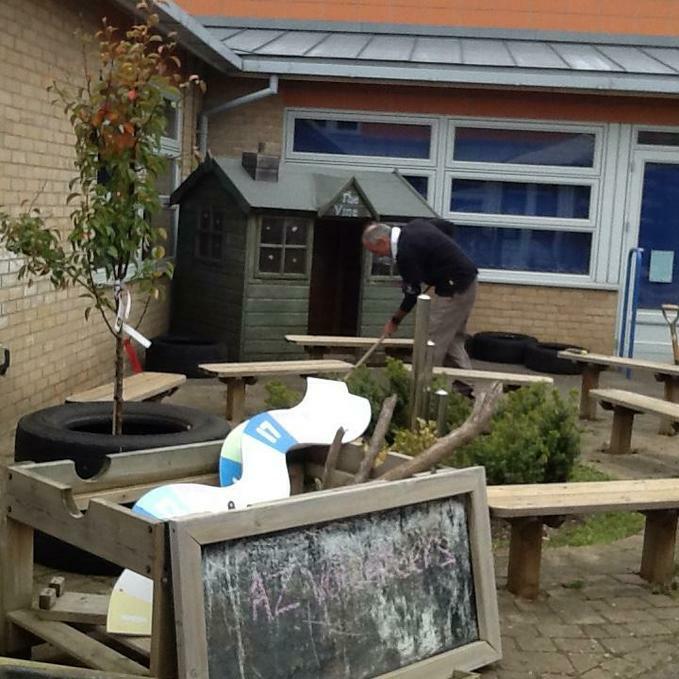 They completed so many jobs including: staining the wood, removing the old, tired letters and blackboard from the wall, moving and painting the shed, creating an amazing herb garden using bark, tyres and soil, painting the sand pit, creating a 'water wall' using the old wooden fences and some drain pipes, as well as weeding and sweeping the whole area. 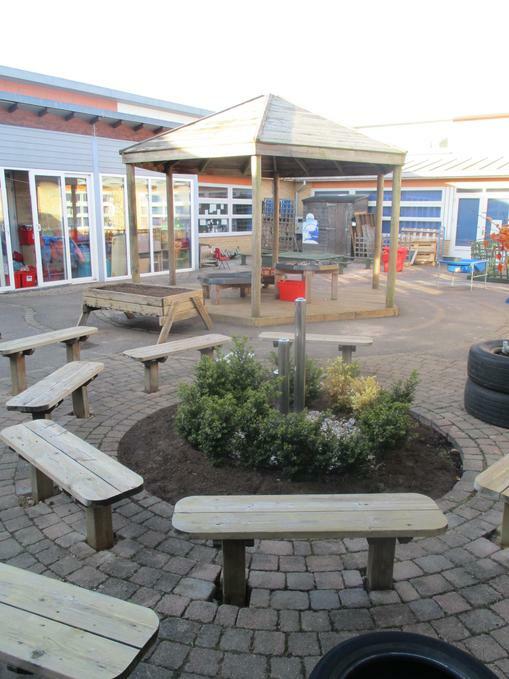 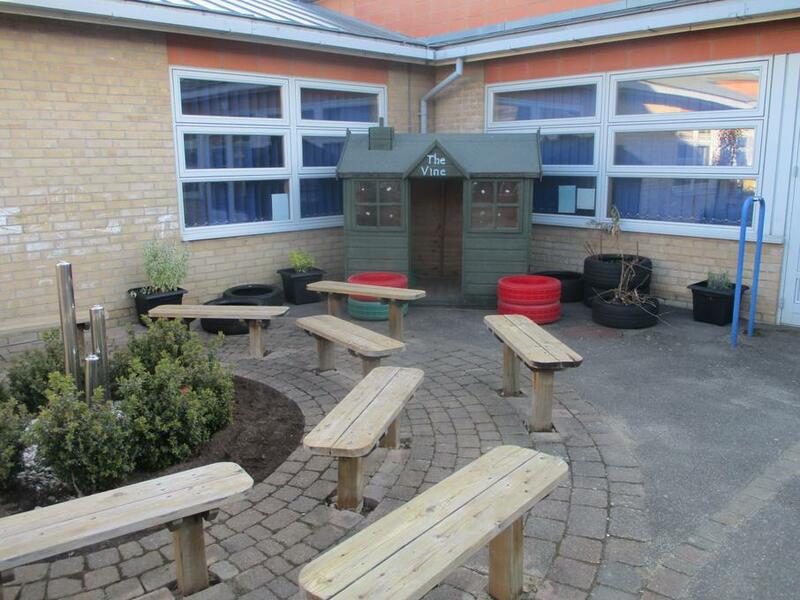 The children have loved exploring the new outdoor area and are very happy with the changes.. One child's response was "WOW? 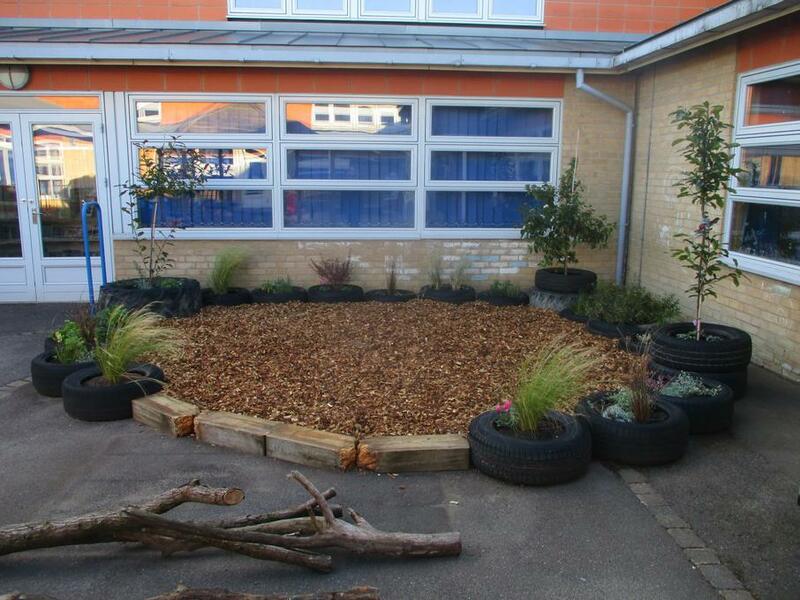 I just love the trees!" 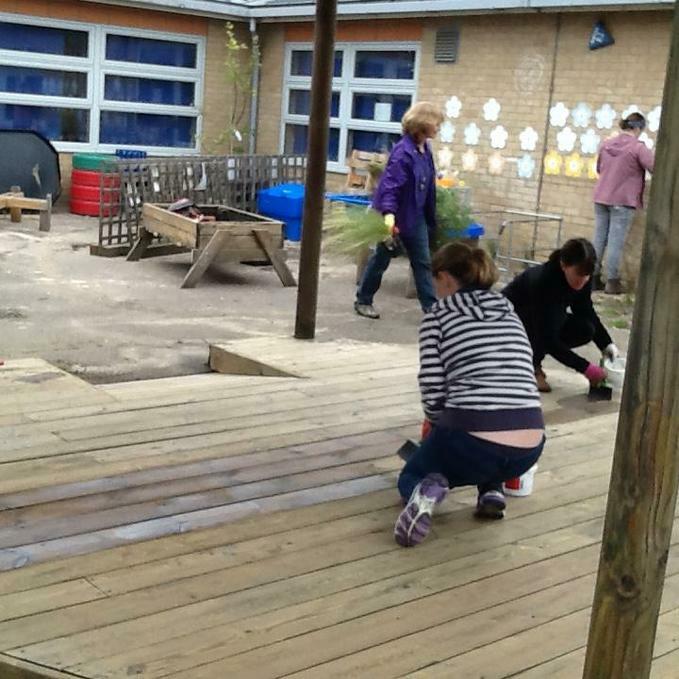 Huge thanks to the Vine Volunteers for funding the project too!